On PROMO: Click for info. Product Description: EZ-10 Spin Column Plant RNA Miniprep Kit: Polysaccharides and polyphenols are components of plants, It is very difficult to remove after form insoluble compounds closely combining with RNA. EZ Spin Column Plant total RNA Purification Kit is applicable to all kinds of plant samples RNA rapid extraction. Cracking liquid can effectively solve the difficult problem such as polyphenols easy oxidation, polysaccharide separation and nucleic acids compounds. RNA Purification using spin column is easy to operate, avoid ethanol rinse. 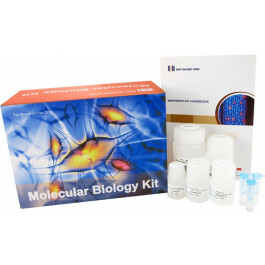 Purified RNA is ready for most downstream applications such as RT-PCR, Northern Blotting, Poly A+ purification, nuclease protection and in vitro translation.